It was a couple of months ago when I was looking through Blueprint Magazine and saw something absolutely stunning. I was surprised to find that the stunning thing I was looking at was a laundry bag. From the textile company India Rose, this bag was an indication of the unique and beautifully styled items made by this Bay Area design company. Soft, luxurious textiles grace the India Rose online catalogue. With a range of items for the home, including some of the most beautiful shower curtains you will ever see, deep piled bath mats, and bed linens that look as if you would float away on a cloud the minute you lay on them, India Rose’s light and airy textiles are truly a luxury. Some of my favorites are from the White Devil Collection. With thick, curvy ruffles, the items in this collection look like they should be worn to a fancy party, rather than hung up in the bathroom. 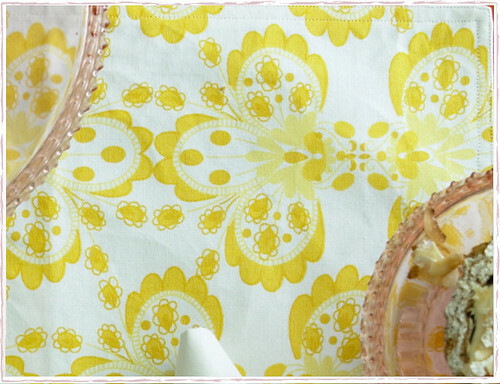 I also like the crisp colors in the placemats and linens for the table. 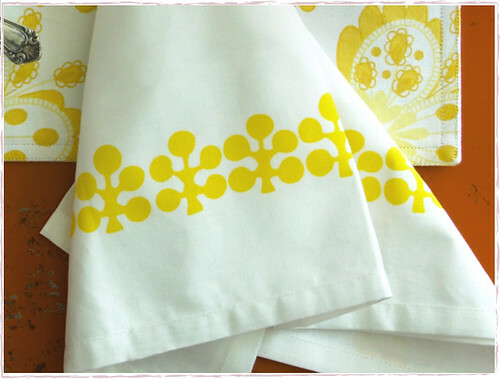 Clean white linens come to life with simply printed borders and patterns. 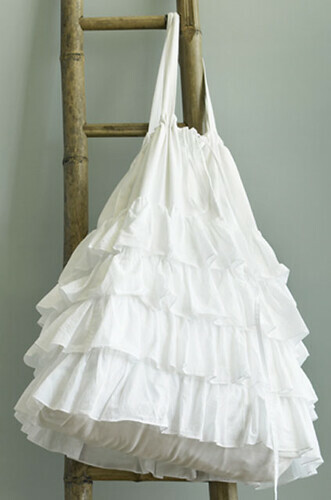 If you’re hooked, as I was when I first saw the White Devil Laundry Bag, you can shop the online catalogue here. And when you’re finished, take some time to head over to Style Court. Courtney Barnes asked me and other bloggers and interior designers to give opinions on the first major piece of furniture someone should invest in. You can see my comments here. Have a wonderful day! pretty finds – great laundry bag! I just love that laundry bag! Oooooh! Fun stuff!! I need that laundry bag. Laurel Denise Ann Wood Birds This Friday!